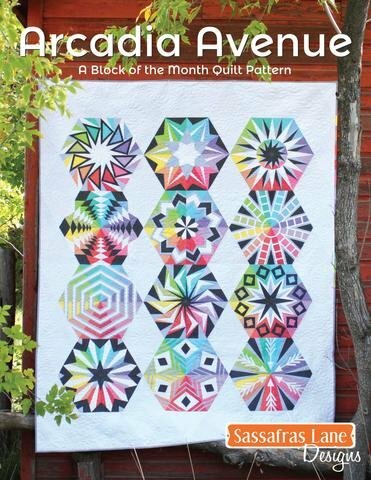 This Block-of-the-Month pattern features 12 unique and modern hexagon quilt blocks. Pattern includes full-size foundations, full color diagrams, simple construction and no Y-seams! Make the entire quilt or pick your favorite block to make a 3D hexagon pillow, unique mini quilt or festive table topper.